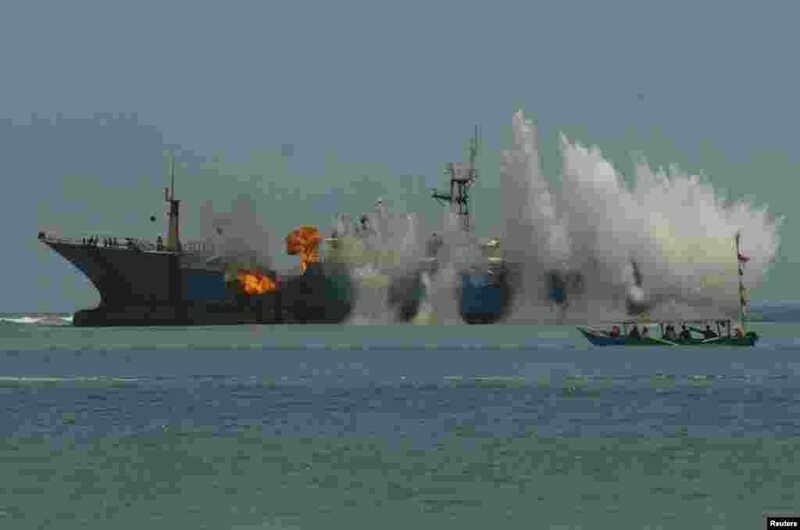 ١ Indonesian Navy and the Ministry of Maritime Affairs and Fisheries blow up the illegal fishing vessel the MV Viking in the waters of Tanjung Batumandi, Pangandaran, West Java in this photo taken by Antara Foto. 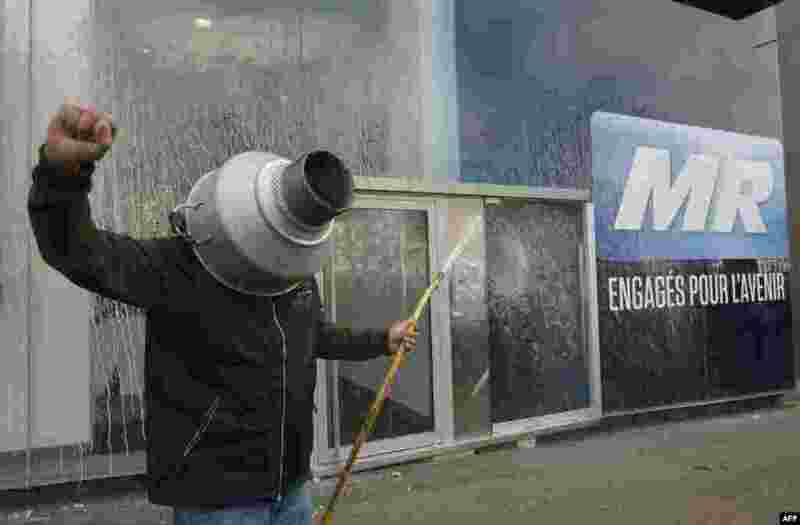 ٢ A farmer sprays milk on the frontage of the headquarters of the Belgian right wing liberal party Mouvement Reformateur (MR) during a demonstration in Brussels. 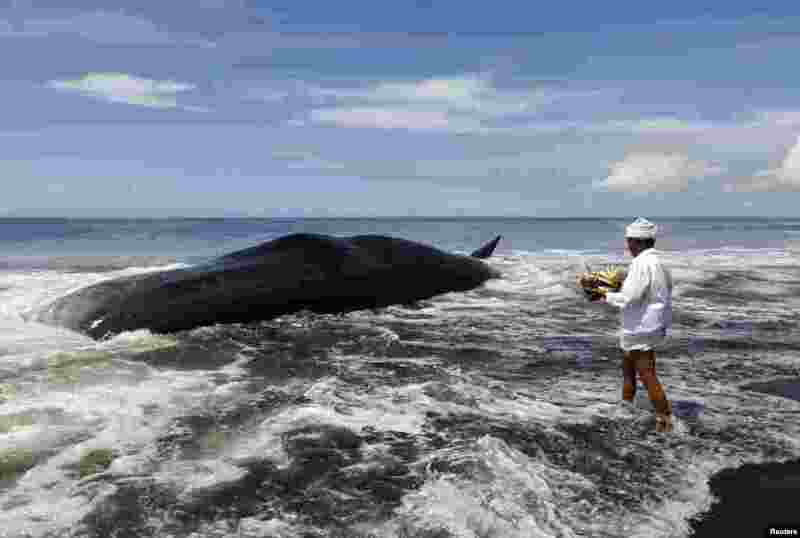 ٣ A Balinese Hindu priest makes an offering to a dead sperm whale washed ashore on Batu Tumpeng beach near Denpasar on Indonesia's resort island of Bali. ٤ Migrants cross a river, north of Idomeni, Greece, attempting to reach Macedonia on a route that would bypass the border fence. 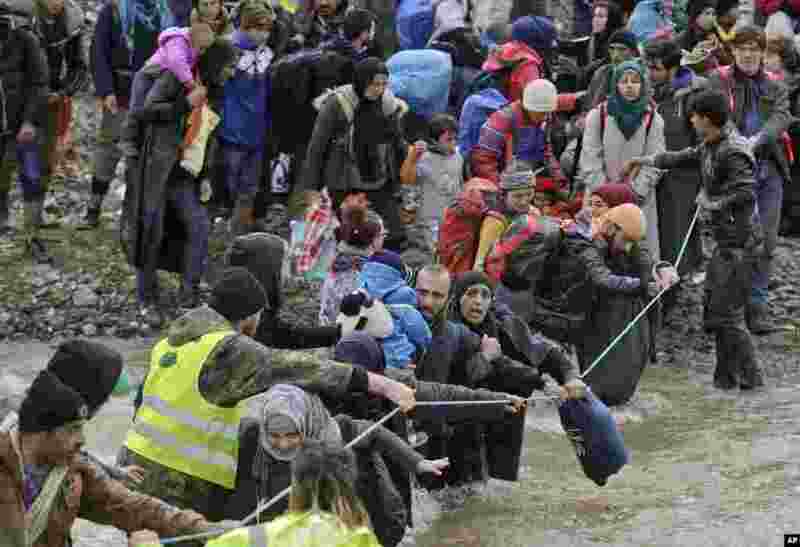 Hundreds of migrants and refugees walked out of an overcrowded camp on the Greek-Macedonian border determined to use a dangerous crossing to head north.